Stellar Repair for Video is the world’s best tool for repairing corrupt, broken or damaged MP4, MOV,AVI, MKV, AVCHD, MJPEG, WEBM, ASF, WMV, FLV, DIVX, MPEG, MTS, M4V, 3G2, 3GP, and F4V file formats. It repairs the videos that got corrupt during shoot, when performing file transfer, while editing, converting or processing. *Free demo provides preview of repaired files with sizes less than or equal to 10 MB. Powerful tool for repairing corrupt, damaged or generally broken video files. The program supports a good range of video formats. If you need to restore a lost or damaged video quickly and with the minimum effort you can take advantage of Stellar Repair for Video . How to Repair Corrupt, Damaged or Broken Videos? Support for all widely used video file formats, popular brands of cameras, and storage media, make Stellar Repair for Video a complete video repair utility. 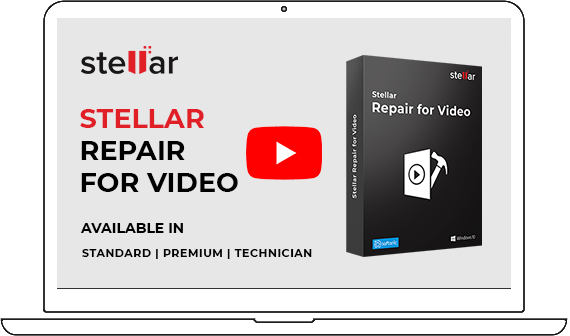 The Stellar video repair tool fixes all kinds of corruptions and errors including "error loading media file could not be played", video not playing, audio video sync issues, grainy video, frozen videos, video blur etc. The software efficiently resolves all types of corruption and errors found in video frames, sound section, header, movement of videos, and video slider. The Stellar Repair for Video software can simultaneously repair unlimited number of video files of same or different formats. And, therefore, serves as a quick and convenient way to repair multiple corrupt, broken or damaged video files. You can preview the repaired videos before saving them to a defined location. This helps ensure that all the repaired videos are free of corruption before getting saved. Stellar Repair for Video brings an intuitive, user-friendly interface to suit users who have a limited proficiency with using software. With its interactive functionality, you do not require any technical expertise for repairing your corrupt video files. It offers quick video repair through its easy to navigate GUI, in just a few clicks. The ‘Sample File’ feature allows the user to repair severely corrupt video files. A ‘Sample File’ is a working file of any size created from the same device and of the same format as of your corrupt video file. The software uses the information from the sample file and repairs the corrupt video. The Stellar Repair for Video tool can fix videos shot from DSLRs, digital cameras, drone cameras, surveillance cameras, android mobile phones, iPhone, and iPad. 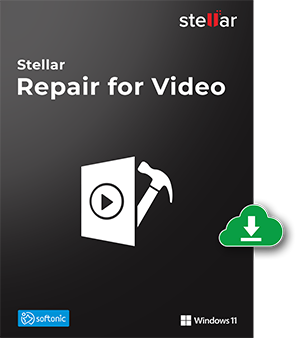 Just transfer the damaged videos from the device, SD cards or other storage media to the Windows or Mac system, download Stellar Repair for Video and fix the corrupt videos with the help of its user-friendly GUI. The software allows you to save your repaired videos at the desired location. You can also choose to save the repaired videos at the source location. Stellar Repair for Video is 100% safe and secure tool, free from any kind of virus, malware or Trojan. You can free download this video repair software on Windows or Mac system without any apprehensions, and fix broken or damaged MP4, MOV, F4V, FLV, DIVX, WEBM videos etc. What is the difference between 'Full' and 'Demo' version of Stellar Repair for Video ? The 'Demo' version repairs corrupt video files and shows preview of repaired files having size at most 10 MB. To preview the complete video file and save the repaired file to your system, you need to buy the 'Full' version of the software. Can I preview the repaired video files, if my Media player is corrupt or having issues? Yes, you can preview the video files before or after performing the repair, if your media player application is corrupt. Can I fix corrupt HD video files of MP4, MOV using Stellar Repair for Video Utility? Yes, the software supports repairing HD video files of MP4 and MOV video formats captured by iPhones, iPad, Android mobiles, Drone cameras and DSLRs. Does the software imports corrupt MP4 videos from iPhone and Android smartphones? No, but you can transfer the corrupt video files from your iPhone, iPad, iPod and Android hand-held devices to your Mac or Windows PC. 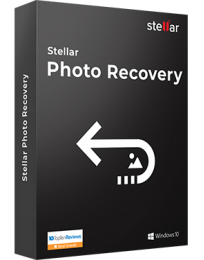 Once the damaged videos get transferred to the computer’s hard drive, you can free download Stellar Repair for Video and perform video file repair. Can I view and access the repaired Video files on any Mac system? Yes, you can play the repaired video files on Mac system. How much time does the software take to repair corrupt Video files? The time taken by the overall repair process may vary depending on the number of files and the size of each file to be repaired. How this Video Repair Software is helpful for professional photographers? Stellar Repair for Video tool is immensely helpful for photographers in repairing their corrupt personal & business video files. If somehow, your professional video recording got corrupted then you can always turn up to Video Repair software. Nonetheless, photographers can also show interest in Stellar Video Repair Premium, which is a combination of below 3 utilities. Which video formats does Stellar Repair for Video supports? The software efficiently repairs AVI, ASF, WMV, MKV, FLV, DIVX, WEBM, MJPEG, MPEG, AVCHD, MTS, MOV, MP4, M4V, 3G2, 3GP, and F4V file formats. Does the software edit the corrupt video files after repairing? No, the software does not edit the repaired video files. How should I use Advance Repair for repairing my severely corrupt videos? When your videos are severely corrupt, the software automatically gives the option of Advance Repair. Click on it, follow the onscreen instructions, and you can repair the severely corrupt videos. What is ‘Sample File,’ asked by the software, when I click on Advanced Repair? In case your video file is severely corrupt, the application allows you to repair it by adding a Sample File to it. A Sample File is a working video file created from the same device and of the same format as the corrupted file. It can be of any size. Stellar Repair for Video uses the information from the sample file and repairs severe corruption in videos. Does the software support videos shot with drones? Yes, Stellar Repair for Video fixes videos shot with drones. It can also repair CCTV, dash cam, iPad, iPhone and Android phone videos. What kind of corrupt videos can I repair using the software? Stellar Repair for Video can repair almost all kinds of corrupt videos. You can efficiently fix grainy, jerky, truncated, out-of-sync, or inaccessible videos giving any kind of error. How to save the repaired video file? Once you have selected the desired files to save from the list of repaired files on screen, select “Save repaired file at source location” if you want the file to be saved at the source location OR select “Save file at custom location” if you want to save the file at your desired location. You can then select the location for saving the video file. My Videos are not playing smooth. What could be the problem? Please ensure the below criteria before moving ahead to a repair solution. I was searching for .mp4 file repair software. I couldn't find a single software which can solve my need. At last, this software did justice to my problem. The software was able to repair the file up to 90%, and the video left with little disruption of 4 mins. It was manageable. Thanks for saving my video. Very Powerful and easy-to-use software it repaired my video files damaged due to corruption. 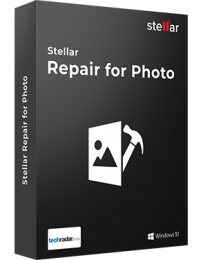 Stellar Repair for Photo software is the best DIY tool to repair corrupt or damaged photos having JP..
There’re many photo recovery software and then there’s the one that you really need. Stellar Photo R..